State-of-the-art, 32-beam Red VCSEL laser achieves 2400 x 2400 dpi and outputs crisp, clear color images with remarkable clarity and definition at high speeds. It also features various halftone screen patterns for increased flexibility and optimized quality closer to offset to deliver the required quality the most demanding environments. The CV Toner improves transfer efficiency and provides consistent, quality output on a wide variety of media. Advance ITB helps achieve quality output on various types of media including media with rough surface such as textured media or envelopes. The imagePRESS C750 color digital presses offer automatic, real-time calibration and provide tools to help reduce calibration time to reliably deliver high-quality, repeatable, predictable output with minimal operator intervention. The developer uses internal air flow to maintain cool temperatures and vertical flow to efficiently use the developers which helps ensure stable color across the run. With a compact design, the module helps achieves precise front-to-back registration for first time right output and maintain across the job. * For a list of validated stocks between 110 lb. Cover and 130 lb. Cover (301 gsm to 350 gsm), please consult the imagePRESS C850/C750/C65 Series Specialty Media Handling Guide. Engine cassettes support up to 80 lb. Cover (220 gsm). ** Requires Envelope Attachment Kit. *** With optional Stack Bypass-C2 and Long Sheet Tray. Paper sizes longer than 19.2″ can be fed one sheet at a time. ▲ Must connect to Booklet Finisher-W1. ▲▲ Must connect to Booklet Trimmer-F1. The imagePRESS C750 digital color production press offers end-users outstanding quality, productivity, and versatility in a compact, scalable footprint. Designed for small-to-medium commercial, franchise, in-plant, transactional and quick printers, the imagePRESS C850 is equipped to handle a variety of media options up to 110 lb. Cover and validated heavier stocks up to 130 lb. Cover, including heavy, coated, textured stock and envelopes at an outstanding level of reliability and performance. 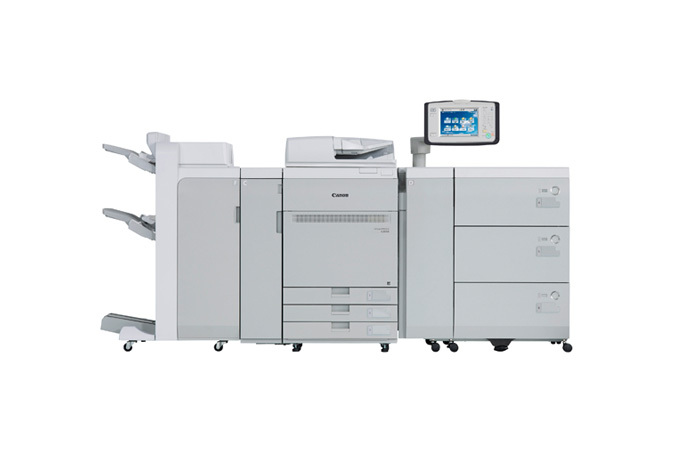 Built upon the successful imagePRESS C800 Series platform, the imagePRESS C750 offers users even more capabilities, ease of use, and productivity. Print, copy, scan and fax for a good cause at a great price. Click here for Canon’s special discount for nonprofits. "When I joined the family business back in 1964, my father insisted that I start in the service department. Service has always been the core of our business, and it always will be. It’s what we call The Davis Difference. We help you feel comfortable with the technology that you choose, and we address every service issue quickly and professionally. Whether you’re already a client or thinking about partnering with us, rest assured that you can call and ask for me directly at any time, with any question." Copyright © 2012 Davis Business Machines. All rights reserved. Are you a Law Firm?